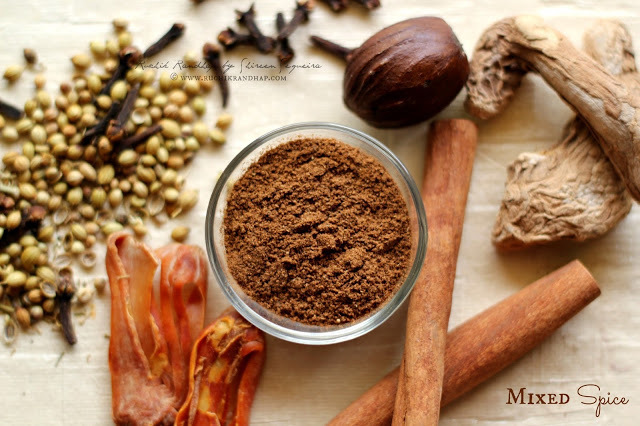 Mixed spice is an aromatic blend of sweet spices that you must really make at home. Not only will it add a sparkle to your fruit cakes but will also put you instantly into the Christmas mood! The festive spirit is on in my house at least and when I made this lovely blend at home yesterday the entire kitchen was filled with its aroma. 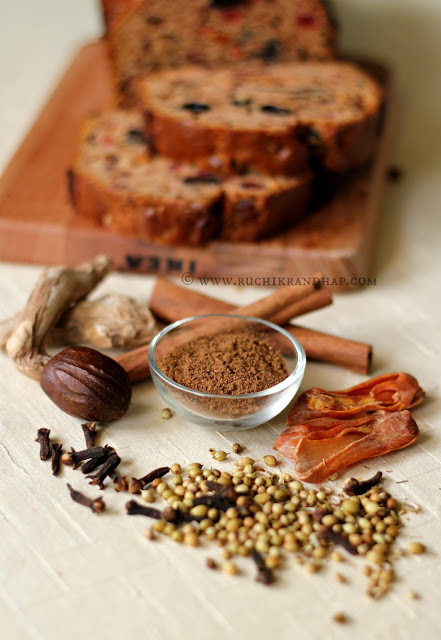 Mixed spice is to cakes and puddings what garam masala is to most Indian dishes. It simply lifts the whole dish and adds that special something to it – a special aroma, a special kind of richness, not to forget the festive aroma. The best part about making this spice at home is that you can not only tinker around with the quantities of the spices to make a small batch if you wish but you can also make it fresh and instantly to be used in the recipe of your choice. Save yourself the effort and expense of buying it from the store. Most commercially available spice blends are pretty expensive and come in quantities that last you longer than you require. If not stored properly (think humid weather) the blend can get mouldy and perhaps won’t smell as fresh & aromatic. So I hope I have sold you my idea by now. Go make it! This is my own recipe which I have arrived at after tinkering with it for many years. A bit of this and a pinch of that later this is what I have arrived at. There is no hard and fast rule that you must stick to the below mentioned quantities. Feel free to add or delete what you see in the list below. The list of ingredients is pretty much what is present in most mixed spice blends. You can skip the allspice if you don’t find it. Do read my notes below the recipe to understand what allspice is. 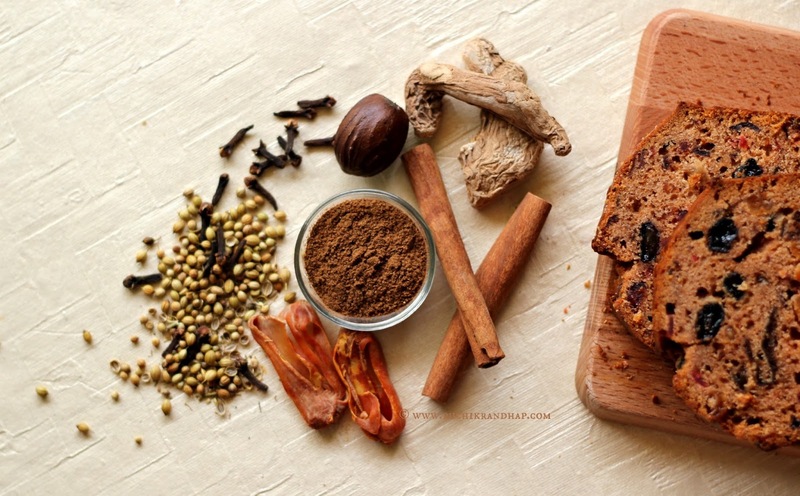 It is not garam masala as it is misunderstood to be. 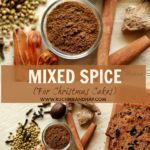 You can use this blend in any of my Christmas cake recipes that call for mixed spice so I promise you that it won’t go waste! The perfect addition to Christmas cakes to give it that magical touch! Store in an airtight container and use as required in the recipe. 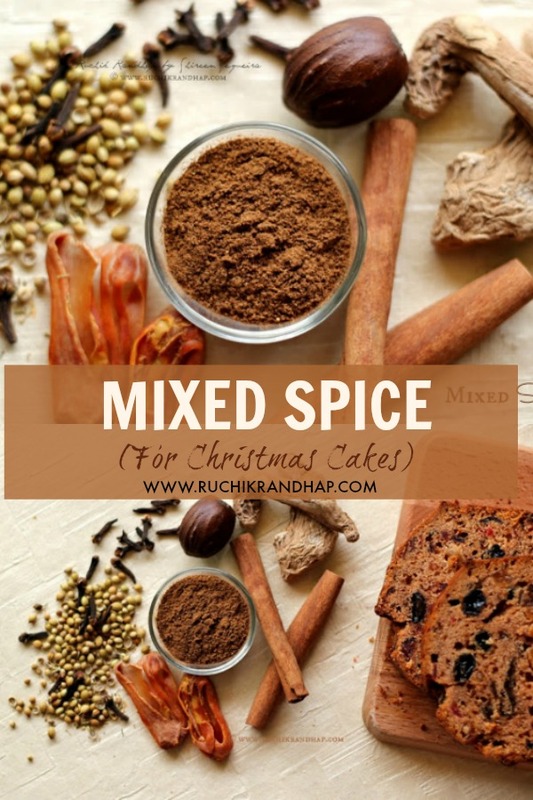 Mixed spice can be used in the preparation of cakes (rich fruit (x'mas cake), carrot, apple etc) puddings, cookies and pancakes. The term 'allspice' is given to a kind of a spice that resembles peppercorns. Allspice, also called Jamaica pepper, pepper, myrtle pepper, pimenta, Turkish Yenibahar, English pepper or newspice, is the dried unripe fruit (berries, used as a spice) of Pimenta dioica. It should not be confused with garam masala powder which is a blend of all different kind of warm (cinnamon, clove etc) and hot (red chillies, coriander, peppercorns) spices. Down South India the allspice is cultivated as a crop. Since this spice gives you a combined aroma of the cinnamon, clove and nutmeg it is named as 'allspice'. The spice however is not very commonly stocked in most supermarkets and costs a bomb for a small bottle, so you may skip it in the above recipe. I picked up my bottle of allspice from Carrefour supermarket for AED 30.